Iona Blog : Charmed I'm Sure... Lush Prince Charming Shower Gel Review. Charmed I'm Sure... Lush Prince Charming Shower Gel Review. Ah Valentines Day, funnily I don't celebrate V'Day- which for me is more like 'Singles Awareness Day' haha, but I was however very excited about the new Valentines range at Lush; consisting of 6 lovely limited edition products, we were all very excited about them at our store! 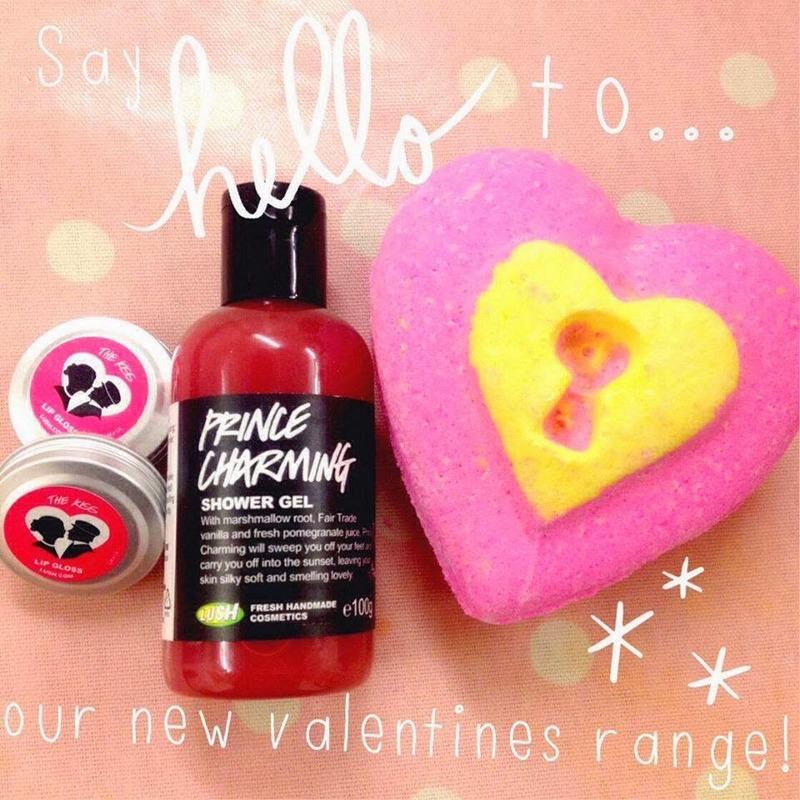 Even though we just said good bye to the Christmas products, today I've got a review of my favourite item from the Valentines range, a brand new shower gel named Prince Charming. Though I'm hopeful using this shower gel will attract my Prince Charming, I am doubtful. Though at least after using Prince Charming I smell amazing, if I do say so myself, with cleansing fresh pomegranate juice and a moisturising marshmallow root and vanilla concoction, Prince Charming smells like a juicy, fruity smoothie and has quickly become my go-to shower gel of the moment, perfect for combating the January blues! Prince Charming Showe Gel available online and in Lush stores. Consistency; Prince Charming has a thicker almost gel like texture and a little goes a long way! Scent; a blend of zesty, fruity oils like grapefruit, sandlewood and geranium along with the pomegranate, vanilla and marshmallow root combine to create a completely new scent for Lushies. Effects; my skin feels so soft after using Prince Charming, perfect for dry winter skin, I also used it to deep clean my makeup brushes and now they smell amazing! Sadly Prince Charming is a limited edition product, so it won't be around for long! I'll be stocking up though as I really love it! Nothing wrong with a bit (or a lot) of sparkle!